Internationally acclaimed mountaineering author, Simon Yates, will visit Galway’s Town Hall Theatre next Thursday, September 7, to present the visually stunning and hugely entertaining My Mountain Life. Best known for his harrowing expedition to the Andes documented in the book and film Touching the Void, Simon is one of the most famous and accomplished exploratory mountaineers of his time. Yates will forever be associated with his near-fatal expedition to Peru’s Siula Grande in 1985. On the descent from the summit Yates’ climbing partner Joe Simpson broke his leg. Yates was attempting to lower him by stages down the slope when Simpson went over a precipice. Believing Joe to be dead on the end of the rope, and being slowly pulled off the mountain himself while losing all feeling in his hands, Simon was forced into the stark decision to cut the rope that joined them in order to save his own life. Miraculously, Simpson survived and retold the story in the best-selling book and the BAFTA award-winning film, Touching the Void, that made both men household names. 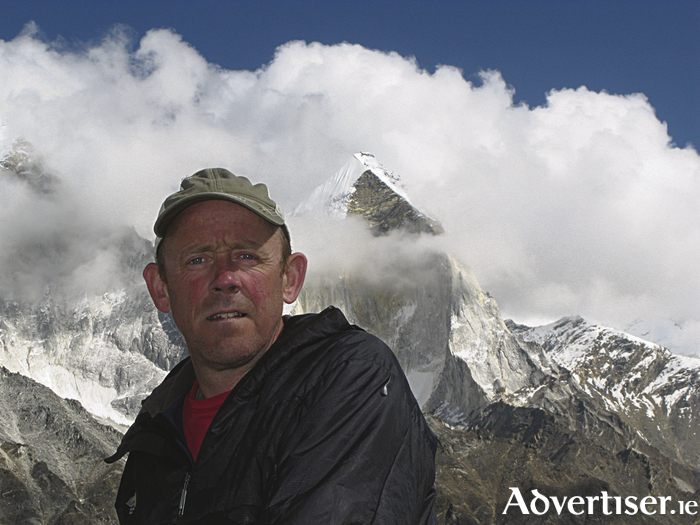 What sort of changes has Yates seen in mountaineering over his 30 year career? Simon Yates is at the Town Hall on Thursday, September 7, at 8pm. Tickets are €15.